The Parliament Magazine talks to special representative of the Dalai Lama to Europe Kelsang Gyaltsen about China's presence in Tibet. Parliament Magazine (PM):China's ambassador to the EU Wu Hailong says that Tibet is a highly autonomous region. How would you respond to this? Kelsang Gyaltsen (KG):China claims to have introduced "democratic reforms" in Tibet in 1959 and having made the Tibetan people masters of their own homeland. Nothing could be further from the truth. Tibetans have little or no say in running their own affairs. All the decisions of the local government are taken by the Chinese Communist party and its regional branch in Tibet. The Tibetan people's participation in the government is only to rubber stamp the decisions made by the central and local Communist party's leadership. The secretary of the Tibet autonomous region (TAR) Communist party is the most powerful post. No Tibetan has ever held this position. The lack of true autonomous rights and freedoms in Tibetan areas in China, enabling Tibetans to protect and develop their unique and distinct culture, religion, language and identity, poses a serious threat to the very survival of Tibetans as a distinct people. The forced transformation of Tibet in China's own image is uncovering the existing autonomy in Tibet as empty and meaningless. This is at the heart of the problems that Tibetans are facing today. PM:China maintains that its government has always viewed the protection and promotion of Tibetan culture as an "important and inescapable duty". Do you agree with this? KG:Unfortunately, the situation inside Tibet is marked by increasing political repression and by intensified policies and developments that continue to undermine the culture, language, religion and identity of Tibet and marginalise Tibetans in most spheres of life in their own homeland. Obviously, the Chinese government continues to view Tibetan Buddhism, Tibetan distinct culture, language and identity as a threat to the stability of the Chinese rule in Tibet. Instead of addressing the issues resulting from "the unique nature of Tibet" - which successive Chinese leaders have repeatedly acknowledged - with understanding, tolerance and respect, the Chinese authorities' reflex has always been to resort to intimidation, coercion and repression. This is causing further alienation and resentment among Tibetans. PM:Ambassador Wu says Chinese authorities are helping to improve the lives of Tibetans. How do you respond to this? KG:We know from history that colonialism breeds a library of self-serving literature. China has churned out a huge amount of propaganda materials on "liberation, socialism and modernisation" in order to justify its invasion and occupation of Tibet. However, these pretty slogans hide the naked truth of China's growing need to exploit the abundant resources of Tibet to feed the resource-hungry economy of its dynamic coastal areas. The devastating impact of this policy has been a massive influx of Chinese onto the Tibetan plateau. Having lost their country to China, Tibetans in increasing number are losing their jobs to more skilled Chinese settlers, who are streaming to Tibet to take advantage of the economic boom. After the military invasion and occupation of Tibet more than 60 years ago, Tibetans are now suffering from a demographic invasion and occupation of their homeland by Chinese settlers. PM:Tibetan culture is very unique. Has this been affected by China's governance, and if so how? KG:The Chinese authorities have engaged in a consistent effort over 60-plus years to replace authentic, organic Tibetan culture with a state-approved and controlled version that conforms with the ideological, political and economic objectives of the Chinese Communist party. This effort has been pursued through intentional policies that are designed to fundamentally alter Tibetan culture in a way that robs it of its essence and turns it into something that the Chinese authorities can manage. In its 1997 report "Tibet: Human rights and the rule of law", the International Commission of Jurists wrote: Rather than instilling in Tibetan children respect for their own cultural identity, language and values, as required under the convention [on the elimination of all forms of racial discrimination], education in Tibet serves to ideologically indoctrinate Tibetan children and to convey a sense of inferiority of their own culture, religion and language in comparison with the dominant Chinese culture and values." PM:What do you have to say about China's failure to deliver on pre-Olympic promises of allowing free reporting on Tibet by foreign journalists? KG:Once again China has sealed off Tibet from the rest of the world. Heavy restriction on the flow of information and strict censorship are in force to shroud the ongoing merciless crackdown in Tibet. Journalists, foreign diplomats and members of international human rights organisations are not allowed entry to Tibetan areas. Even ordinary tourists have been banned in recent times. The absence of any international presence in Tibetan areas gives the Chinese authorities a free hand in the suppression of the Tibetan people. If China has nothing to hide in Tibet, Beijing must then open up Tibet to the rest of the world. Let the world see and witness the "progress" in Tibet and "the happiness" and "satisfaction" of the Tibetan people. PM:Tibetans are increasingly staging demonstrations, including self immolation, in protest against Chinese rule. Has this influenced Beijing's approach to the region and do you expect the protests to continue. KG:Sadly, the dramatic protests by Tibetans in Tibet are escalating. As of today, there have been 49 cases of self-immolation inside Tibet and one case in India since 2009. Alone in this year already, 36 Tibetans resorted to the drastic form of protest through self-immolation. All cases of self-immolation are clearly acts of political protest calling for freedom for the Tibetan people and the return of His Holiness the Dalai Lama. There is an urgent need for the international community to send a strong message of concern, solidarity and commitment to the Tibetans in Tibet. 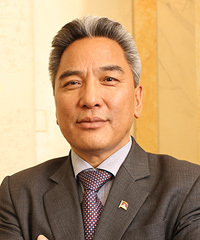 This message should convey to the Tibetan people that the outside world has taken note of their desperate situation and that it is committed to working for the improvement of their situation and committed to actively promote a peaceful resolution of the issue of Tibet through dialogue and negotiations on a long-term basis. There is, therefore, a clear need now for the European Union to look for more effective ways and means to promote respect for human rights and fundamental freedom for the Tibetan people and a peaceful and mutually acceptable solution of the issue of Tibet through dialogue and negotiations. The dramatic worsening of the situation in Tibet is a clear indication that business as usual will not do justice to the complex and compelling state of affairs in Tibet. PM:Are Tibetans allowed freedom of religious expression? If not, what form do any restrictions take? Since 1996, the Tibetan people are suffering from an incessant onslaught of political campaigns such as the "Patriotic Education", "Strike Hard" and "Spiritual Civilisation" programmes all tailored to undermine Tibetan religion, culture and language. PM:You also say that the Tibetan language has been superseded by Chinese. However, ambassador Wu says there is equal importance attached to both languages. How true is this? KG:The diminishing relevance of the Tibetan language on its home soil became a source of grave concern for many Tibetan scholars in Tibet, some of whom openly raised their voices in protests. In 1992, the late Dungkar Lobsang Trinley, one of the leading cultural and intellectual figures of modern Tibet and recognised by the Chinese authorities as a "national treasure", said: "In spite of Tibetan being declared the first language to be used in all government offices and meetings, and in official correspondence, Chinese has been used everywhere as the working language". He further argued that "without educated people in all fields, able to express themselves in their own language, Tibetans are in danger of being assimilated. We have reached this point." In October 2010, thousands of Tibetan students in the north-eastern part of Tibet, now part of China's western Qinghai province, staged peaceful protests amid rising concerns over the erosion of Tibetan culture, language and national identity. The immediate cause of the protest was the announcement from the local Chinese authorities that the language used in textbooks should be changed from Tibetan to Chinese. These protests by Tibetan school and college students spread from several areas of Qinghai to Beijing, where several hundred Tibetans at the national university of China protested to express their concern about the downgrading of the Tibetan language. These demonstrations follow a new emphasis in Qinghai province on the importance of Chinese language for Tibetans and a new "bilingual education" imperative that is designed to transition "minority" students from education in their mother tongue to education in Chinese.